Enjoy high quality browsing, reading gaming and video streaming on the 5 inch HD display of the LG X Screen Sim Free handset. Never miss a notification again, thanks to the 0.2 inch ‘Always on’ display, with a personalised signature. Swipe this extra screen to bring up a selection of your preferred toggles and shortcuts (such as quick camera access and WiFi) and your media controls. The LG X Screen offers a premium finish with a metallic frame, sized at 142.6 x 71.8 x 7.1 mm and weighing in at an extremelylight 125g. 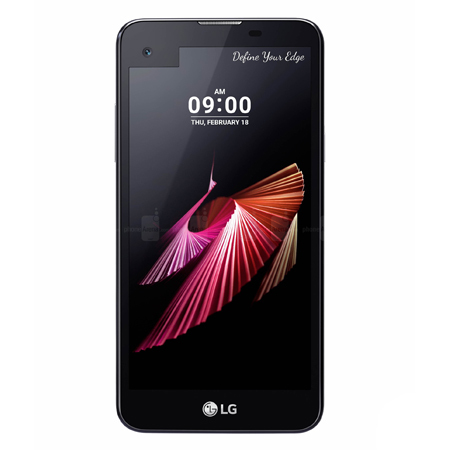 LG’s X Screen offers a glass front coating and glass fibre back for a flagship design at a budget friendly price point. The LG X Screen features a 13 mega pixels rear camera and 8 mega pixel front selfie camera. Enjoy helpful features such as auto-shot and face detection which will take the photo automatically when your face is in focus and in frame. Powered by the latest Android 6.0 Marshmallow, 2GB of RAM, 16GB internal storage and LG’s own UX interface the LG X Screen offers an excellent user experience. Stay connected with 4G, Bluetooth 4.1, GPS, Wi-Fi and NFC technology and make the most out of your battery life with automatic standby states.